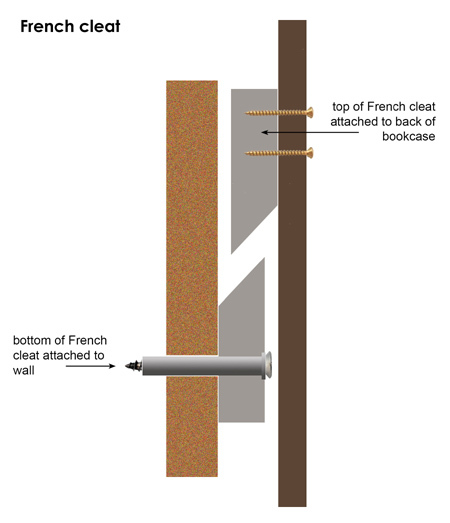 HOME DZINE Home DIY | What is a French cleat? 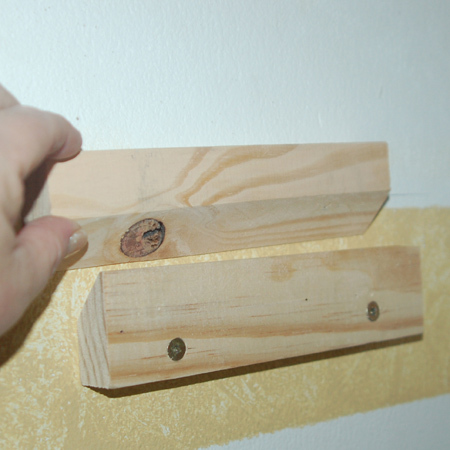 A French cleat is a way to hang heavy items onto walls. A single piece of wood is split in two at a 45-degree angle. Alternatively, two pieces of wood are cut at 45-degree angles to fit one on top of the other. 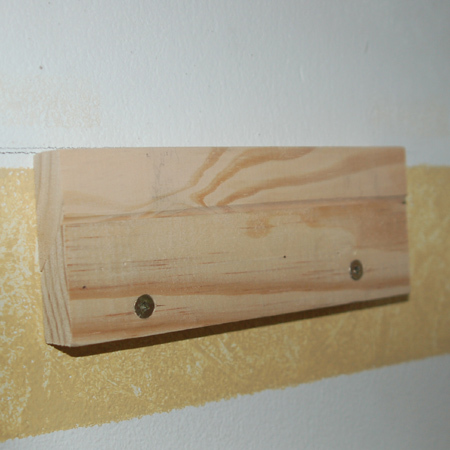 Use a French cleat for mounting shelves and bookcases on a wall. Here is a close up view of a French cleat. The bottom section - with the 45-degree cut angling down - is mounted onto the wall. The top section - with the 45-degree facing up - is mounted onto the back of whatever item you want to hang onto a wall. 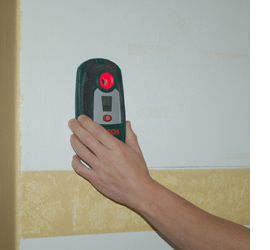 Before drilling into walls it is essential to ensure that you won't drill into pipes or electrical cables. 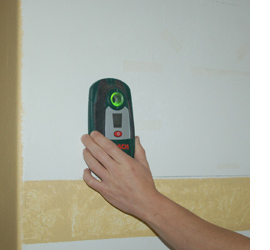 An electronic detector, such as the Bosch PDO, is able to locate studs, pipes and electrical conduits in walls. When the detector ring is red, this indicates a 'no-go' drilling area that may contain pipes or conduits. A green ring indicates that it is safe to drill. When mounting a French cleat onto the wall make sure you use the right accessories: nylon wall plugs and a masonry bit. Drill the hole to a depth slightly longer than the length of the nylon plug. 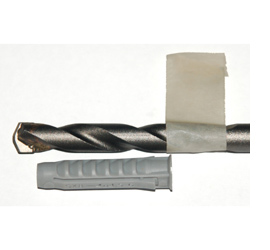 A piece of masking tape wrapped around the drill bit will tell you when to stop drilling.